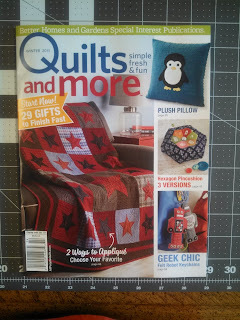 I'm so excited that I can finally show you our latest endeavor! Lots of fun boxes made from yard sticks with our name on them! There are many different shapes and sizes - you can see all of those details on my website, under the "Go Shopping" button. I'm using one of the 3-tall boxes to hold all of the different pencils and markers that I use for quilting. 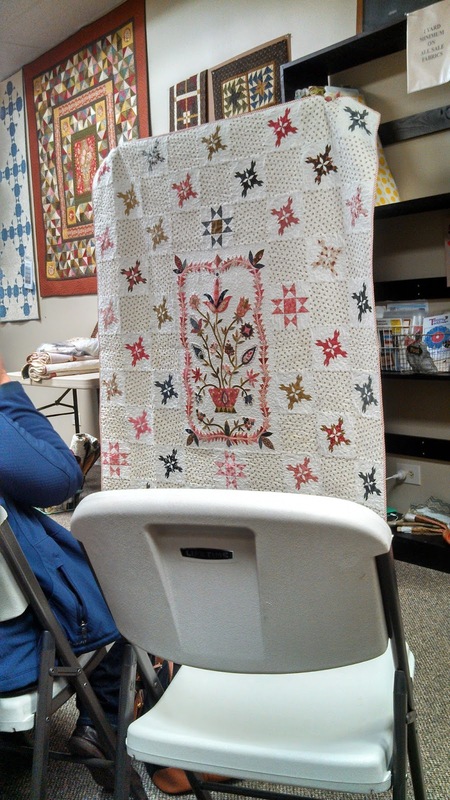 And the 2 tall is great to have by my chair while I'm hand quilting - it's big enough to hold thread, small scissors, binding clips, etc. The long one is great too - you can put a pin cushion in there...oh...there are lots of possibilities! Add a pair of socks (because we all need "socks in a box"! ), or a pendant and you have the perfect gift - just in time for Christmas! And these? SO CUTE! I love the tiny one with the lid - look how little that clothes pin is! These were so much fun to make, I just love all of their different expressions. That is all for today - all of my electronic devices are giving me fits! I hope you all have a wonderful Thanksgiving. We are hosting, so I better get busy cleaning and cooking! Shows, Max & Louise, magazines and new stuff! 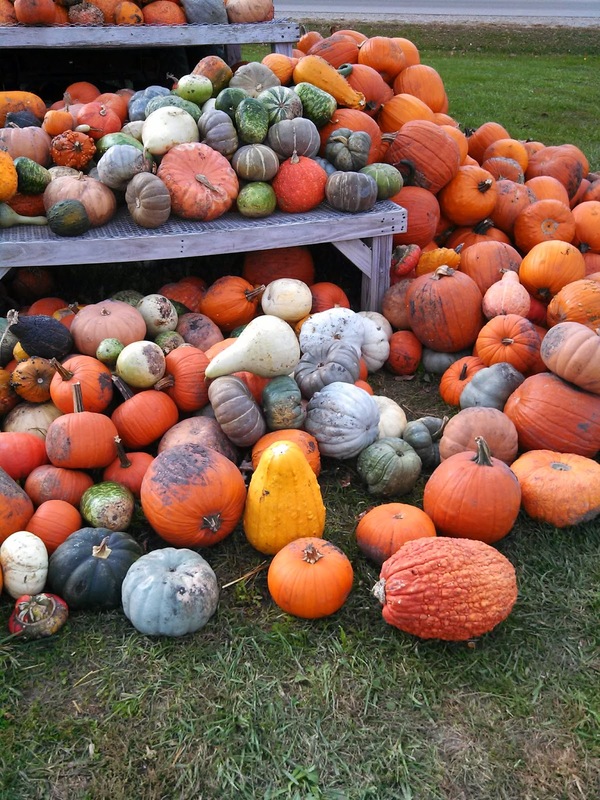 And look at all of these - so colorful - makes me want to plant pumpkins and gourds next year. We had to get very creative with lighting while setting up at the show, and luckily, for me, Johnna is a little like McGyver, and she got it figured out! I felt bad that we really didn't have time to do much for fun, but we found out that we were very close to Lake Michigan, and she wanted to go check it out. It was really chilly that weekend, but we found it and took a few minutes to take another cute picture. She just makes me laugh! My online friend, Dawn, came to see us at the show - that was a wonderful surprise! Unfortunately, she came a day too early and we were just starting to set up, so she didn't get to see everything, but I was so grateful that she came. I love meeting online friends in person! Our next show is this coming weekend. It's as local as it gets for us (we live in the country) and is part of the tour of homes in Mt. Pleasant, IA. Along with the tour, there are lots of vendors who will be set up at the Airport Road Vineyard & Winery, just south of town. If you are in Southeast Iowa, come and see us! It is Sunday afternoon, from 1:00 to 5:00. We have some brand new items that I can't wait to share with everyone. As soon as we have the details worked out, I will share them here as well. Not only have we been busy with shows, but Mom and I took a little road trip to the Chicago area, and went to a trunk show and class with the girls from Max & Louise! Are you familiar with them? If not, you should make yourself familiar! They are awesome!! 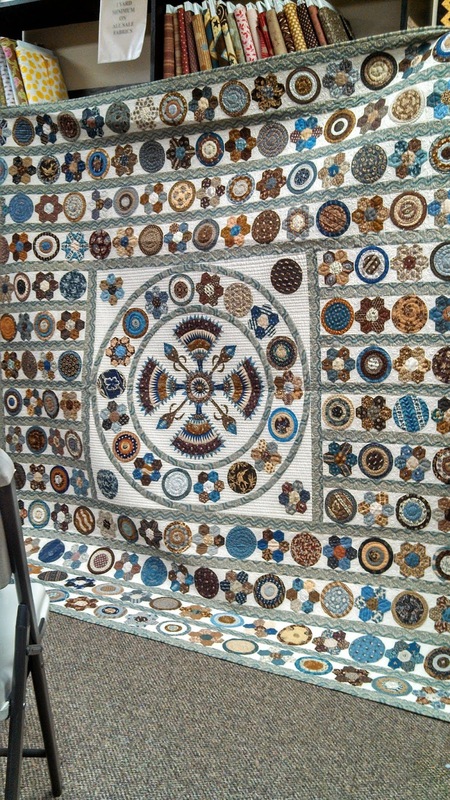 I absolutely love all of their quilts. So, to back up...Lisa & Lou are from Australia, and had not ever been to the US before. 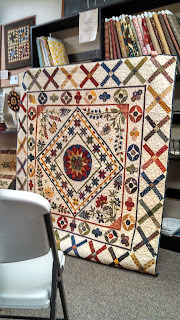 They design amazing quilts - lots of applique and English paper piecing. They both have full time jobs, and I honestly do not know how they get these beauties completed. 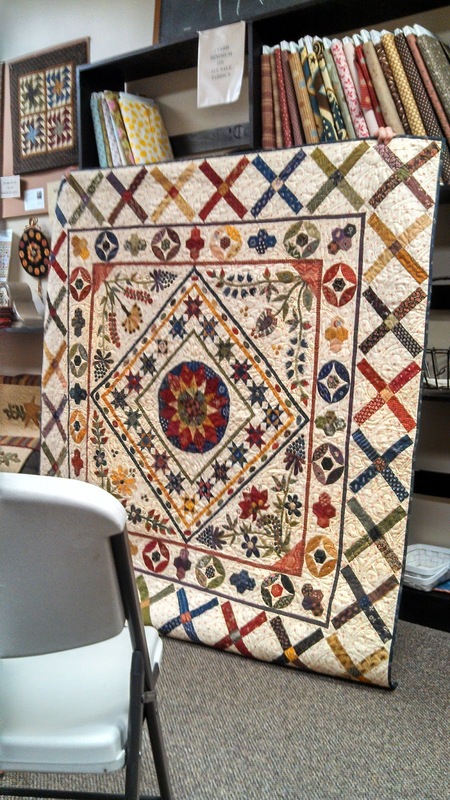 They each make a quilt, using different fabrics, so it's like double the fun! 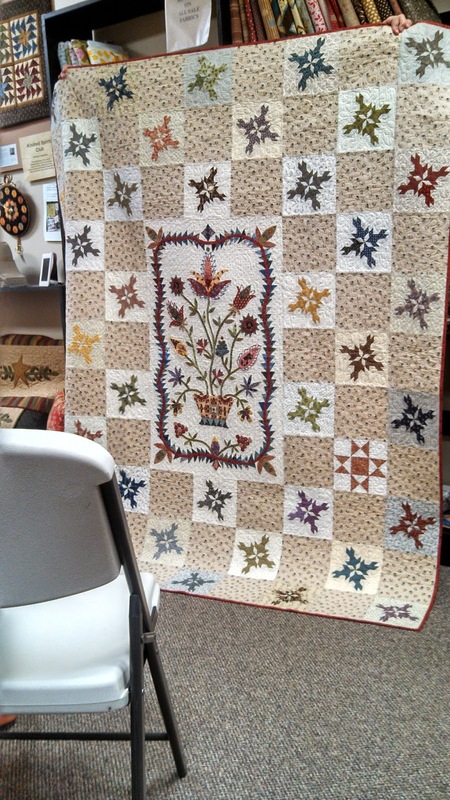 This year, they decided to come to the US for Fall Quilt Market, in Houston, and while they were here, they also traveled to The Quilt Merchant for the trunk show and class. I knew that I just had to go and see them! 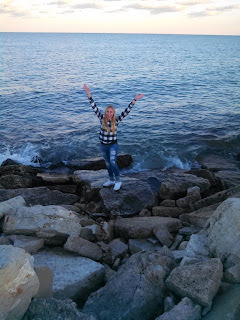 It's about a 5 hour drive for me, and it was worth every single mile! Mom is always up for a road trip, so off we went! 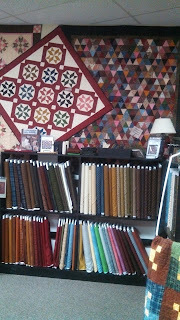 The trunk show was on Friday night and here are just a couple of the beautiful quilts that they shared with us. (Sorry about that chair in the picture - I should have moved it!). The first one is Sovereign and it is the one that I took a class on the next day - it is just amazing!! Gracedale Doves again - they are both fantastic! I kept telling the girls that I was going to steal a couple of their quilts because I don't think I could ever make any of them myself! But, I did learn a lot in class. 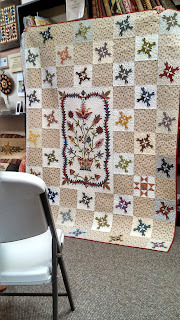 If you know me, you know that my method of applique is WOOL! But, they taught the method that they use, using a wash away stabilizer and a glue stick, and it was really fun! 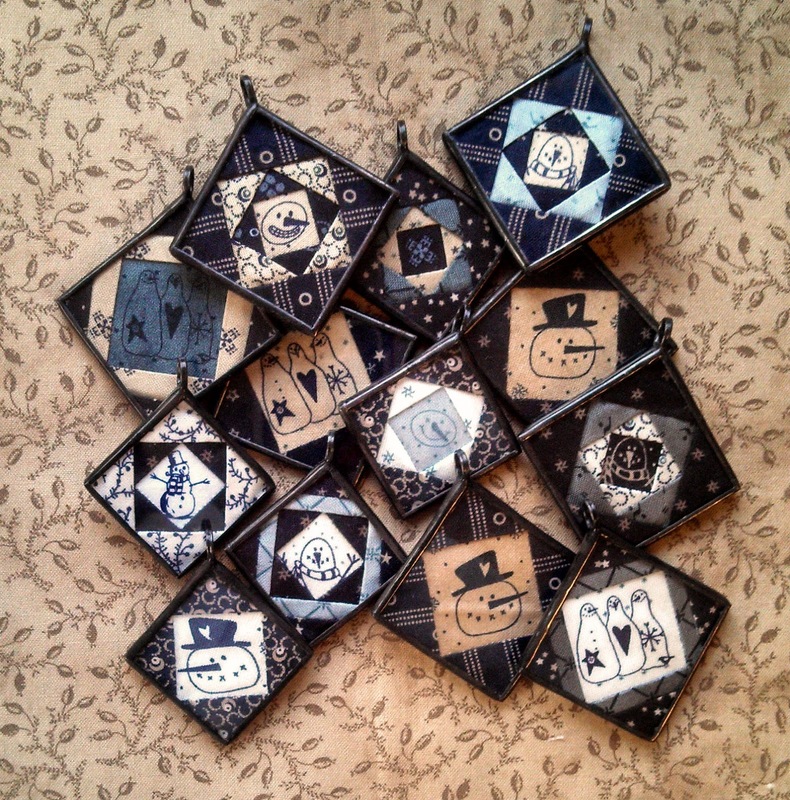 I tried English paper piecing (EPP) once and made one whole hexagon flower - lol! Lisa and Lou do lots of EPP in their quilts, a real inspiration for me to pick it back up. I also made bias stems using the little Clover bias binding notion - boy is that slick and easy! I don't know what in the heck we were thinking, because we did not get a single picture of the 3 of us together, and I didn't even get a good picture of the two of them! Guess we will have to get together again to get pictures! 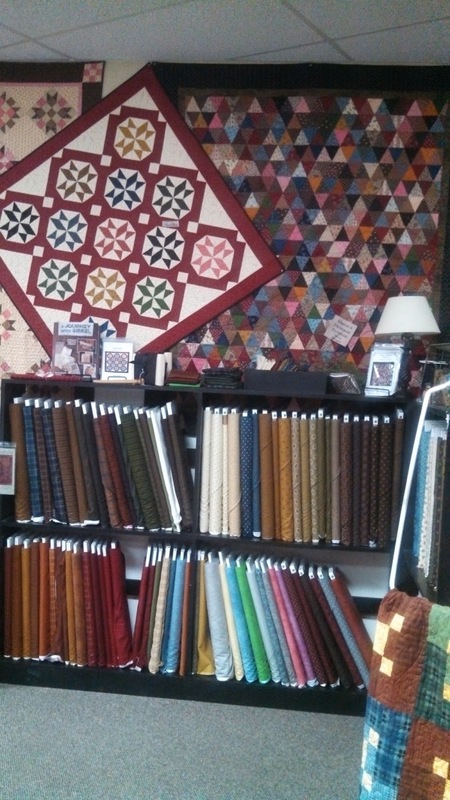 Here is a picture of The Quilt Merchant. Have you been there? It is a great shop - I've been there several times, but it is now under new ownership. Valerie is the current owner and was our gracious hostess for the weekend. I guess I got ahead of myself a little...on Friday, Mom and I left early and had a few stops to make along the way. When we got to the area, we decided to get to the hotel and get checked in. Lisa and Lou were staying at the same hotel, so I messaged them to see where they were, and let them know we were at the hotel and gave them my cell phone number, room number, etc. It wasn't long and there was a knock at the door - it was the Lisa, Lou and Valerie, and guess what? Their room was directly across the hall from us! We all went out for supper then headed over to the shop for the trunk show. It was so nice to be able to spend a little extra time with them - I can't even tell you how much fun it was and how much I just love them both! 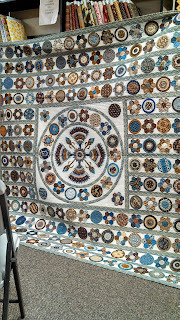 We also met for breakfast and Valerie picked us up early so we could get to the shop and they could get everything ready (I spent most of the time petting, and trying to steal the quilts!). Mom spent the day driving around and checking things out! Again, please visit their blog - and take a look at their beautiful work - I just don't even have the words to describe the amazing things they do! 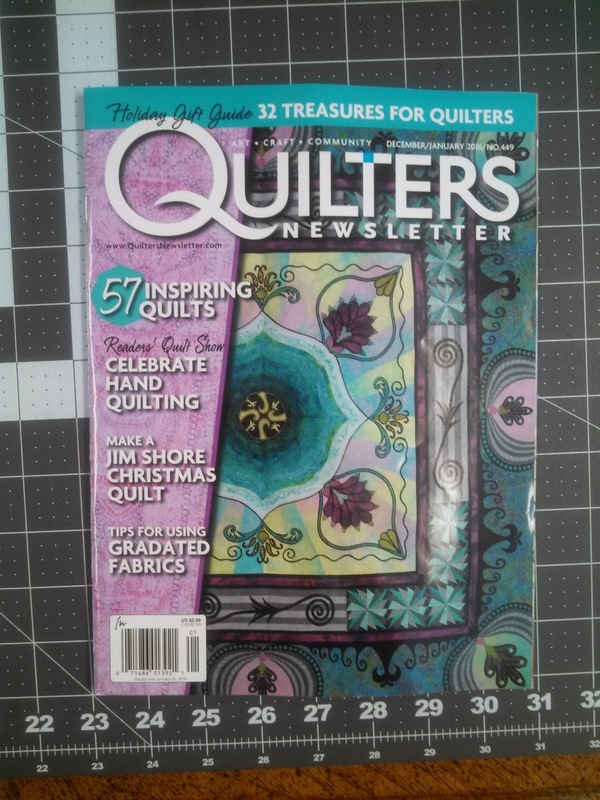 And then....I received a copy of Quilter's Newsletter in the mail - I was a little confused as to why I was receiving it, as I don't currently subscribe. As I was flipping through it, lo and behold, there was a picture of one of my pendants! I had no idea that they were going to include it - but what a nice surprise it was! I am very grateful for all 3 of these magazines and as always, to all of my amazing customers. I can never convey just how grateful I truly am - it is awesome to be able to do what I love every single day! 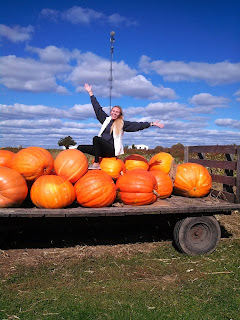 We all know that Thanksgiving will be here in a little over a week (YIKES!) and of course, Christmas is coming soon after - doesn't it always just get here way before you are ready!? Have you made out your shopping list for Santa yet? Make sure to check out our website and if you want to make it super easy for your hubby to shop for you - we now offer Gift Certificates! I've wanted to do this forever, and it's one of those things that just kept getting pushed to the back burner, but I finally got it done over the weekend. I had to laugh at the preset amounts - be sure to tell them you want the thousand dollar gift certificate - lol! I think they could have left that off! Ok, this is getting way too long - sorry about that! I guess that's what happens when you only post every couple of months. So one last thing - back to the new things that I mentioned before - we are adding some super exciting new items to our inventory! I can not wait to share them with you, but we have to work out a few details before I can do that - like price and how I'm going to ship them! 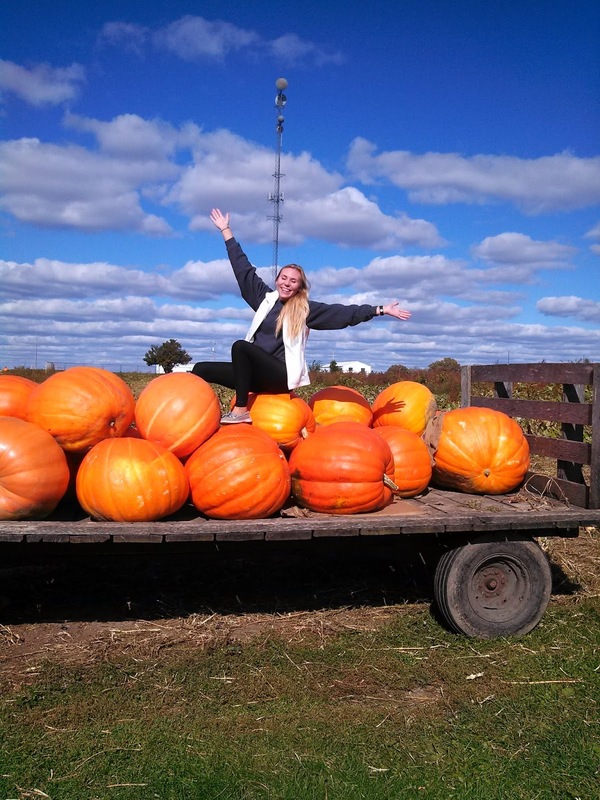 If you are local, be sure to come to the winery this Sunday, because we will have them there! I'm so excited, and just can't wait for you to see them. Be watching - we will be able to share them soon. Oh, and one more last thing (haha) - it's just not a post without sharing at least one fluffy! 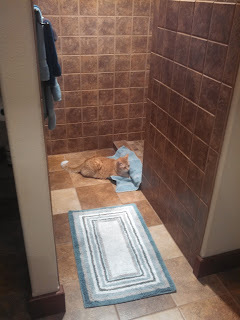 Here is Ozzie - thinking he needs to take a shower! Not sure what his deal is lately, but he has even walked into the shower when it is running! He doesn't stick around long!